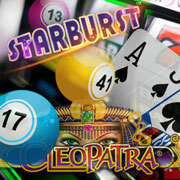 Explore our fantastic collection of deals from the biggest names in online casinos, bingo, slots and sports. Play your favourite games at our trusted partners as often or as little as you like, completely as normal. Our platform will automatically track any losses you incur, and pay you cashback accordingly. Each month our state-of-the-art platform will calculate your cashback based on your net loss. We will then automatically reimburse you with a portion of your losses via PayPal or Skrill. From ratings and reviews of games and partner sites, to discussions within our community platform. Cashbacker's team and members are on hand to make sure that your experience with us is easy and fun. Engaging with the community not only helps others, but can also benefit you with our points, badges, ranks and rewards. 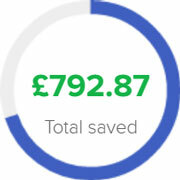 Badges give our lovely users recognition for their achievements on the Cashbacker website. 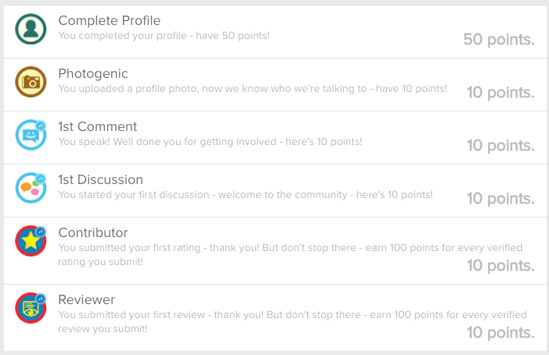 A badge is awarded when you complete tasks, engage in our community, help others with reviews and to mark milestones. The great thing about earning badges is that each is worth points which can then be traded for fantastic gifts & rewards. Exchange your points for fabulous gifts including vouchers at big named shops, the latest tech gadgets and much more. 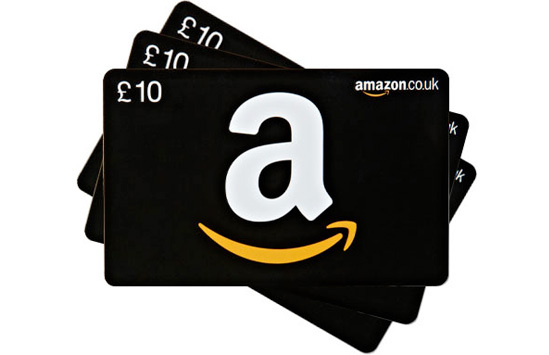 We have gifts that cater for everyone, so keep engaging and earning! We love our community and want to say thank you for being a part of it, along with still offering cashback on a wide range of gaming deals. 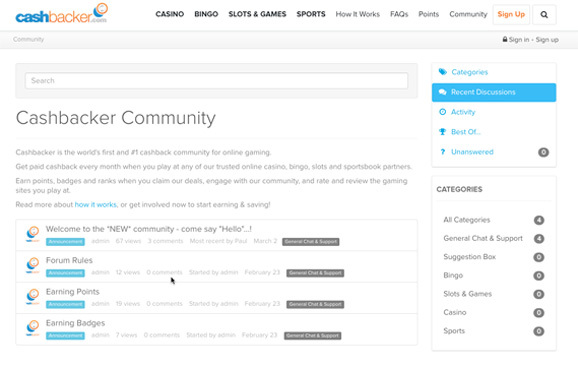 gain access to our community and 100's of gaming deals. 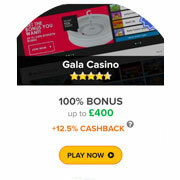 Simply register a FREE account with Cashbacker™ and find a cashback deal that suits you. Click through to the operator's website by clicking any of the "Get deal" or "Play now" buttons on Cashbacker. Once on the operator's website, register a new account with them immediately (don't download any apps or navigate away from their site). Most deals will verify automatically within 24 hours (allow up to 7 days), but some may require further information from you so please keep an eye out for our emails. Once your cashback claim has been verified we'll automatically add your cashback earnings to your Cashbacker account within 5 days of the end of each month. Any outstanding cashback will be settled to you via PayPal or Skrill, so please be sure to update your payout preferences. Do you really give me my losses back every month? Yes! We will reimburse you with a portion of your net loss in the form of cashback, which is paid directly by us to you via e-wallet (PayPal or Skrill), every month. We're able to do this because we get paid a commission for sending you to the merchant - but instead of keeping it all ourselves, we give it back to you! How can you afford to give me my losses back? We get asked that a lot! We're able to do this because we get paid a commission for referring you to the operator - but instead of keeping that commission ourselves, we give it back to you! When you join Cashbacker you'll have access to your own account area. In the "Payouts" section you'll find several supported payment options. Don't worry if you haven't got an account with any of these providers - when we process your payment you'll be notified of the pending funds and how you can withdraw them, quickly and easily! You can even set the currency you would like to be paid in - visit the "Profile" section of your account to select your currency! Yes! We use trusted third-party payment providers such as PayPal and Skrill so you can rest assured knowing that your earnings will be safe with them until you decide to withdraw them or spend them elsewhere. Yes! We don't collect any sensitive information from you such as bank account or credit card numbers and passwords. The only payment information we store is your email address to which we send payments using trusted payment providers such as PayPal and Skrill. Why hasn't my claim been verified? Most claims are usually verified within 24 hours, but can take up to 7 days. If you have any concerns or your claim hasn't been verified, please contact support. Can I get paid by referring people to you? Yes you can! We operate a generous referral scheme whereby we will pay you 5% of the net loss of any players you refer to us. In other words, your referrals will get up to 20% cashback, and you will get 5%. Simply join Cashbacker today, and head to the "Referrals" section of your account area. In there you'll see your unique referral link as well as a number of ways by which you can share it. Anybody who clicks your referral link and joins Cashbacker will get linked to your account and becomes one of your "referrals". From there on, you'll receive 5% of the total net loss your referrals generate via their verified cashback deals. There's no limit to the number of deals they can claim, and no limit to the amount of commission you can earn. Click here read more about our referral scheme. We're here to answer any questions you might have. Please contact support and a member of our team will get back you as soon as possible.